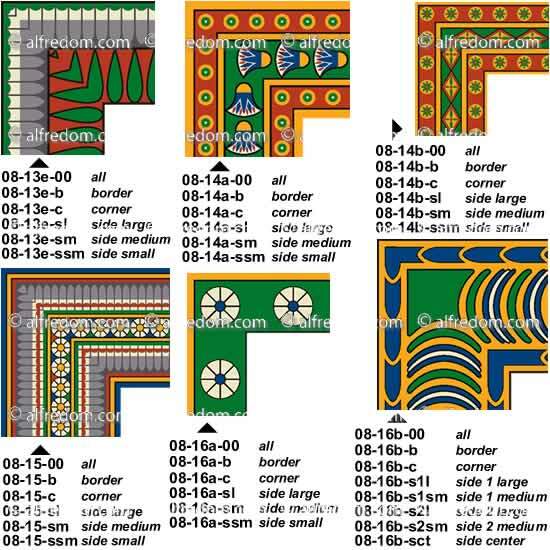 Plates 7, 8, 9, 10, 11. 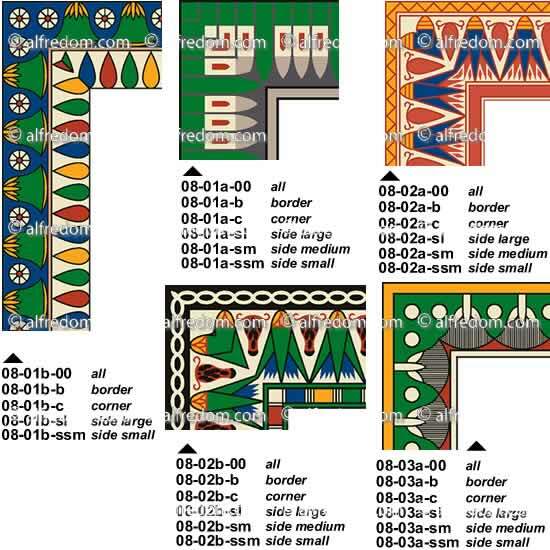 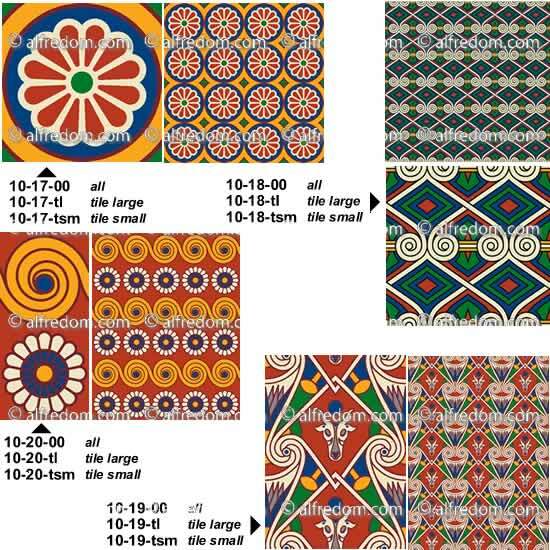 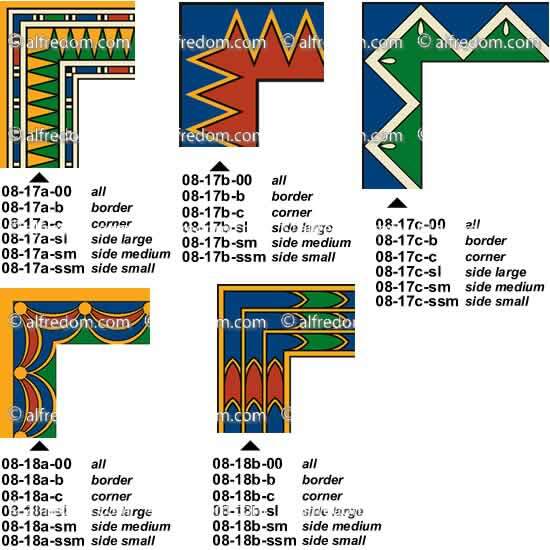 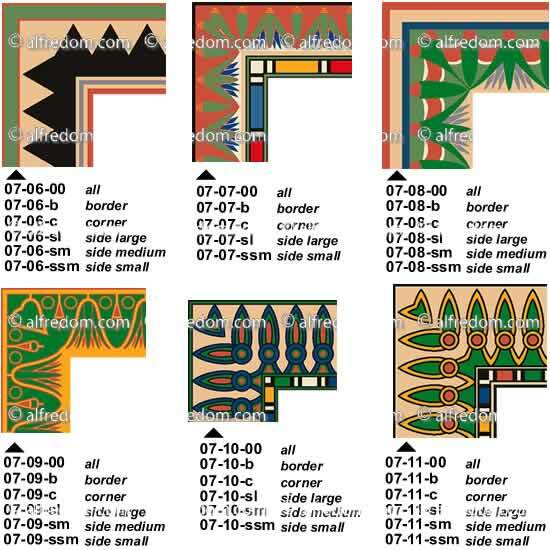 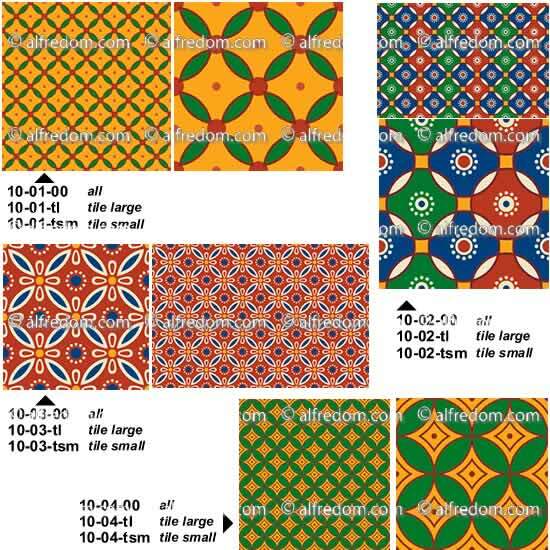 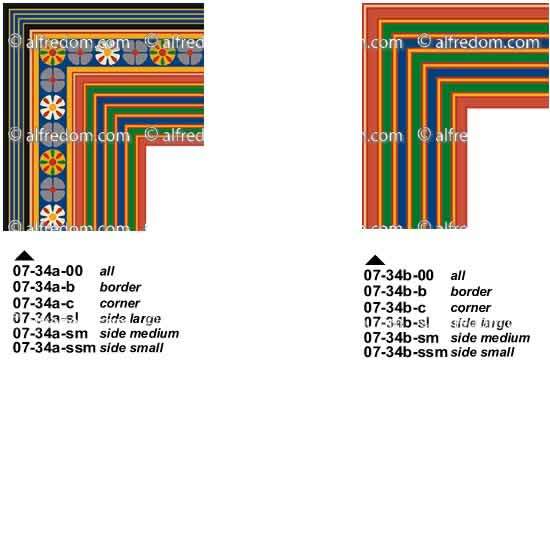 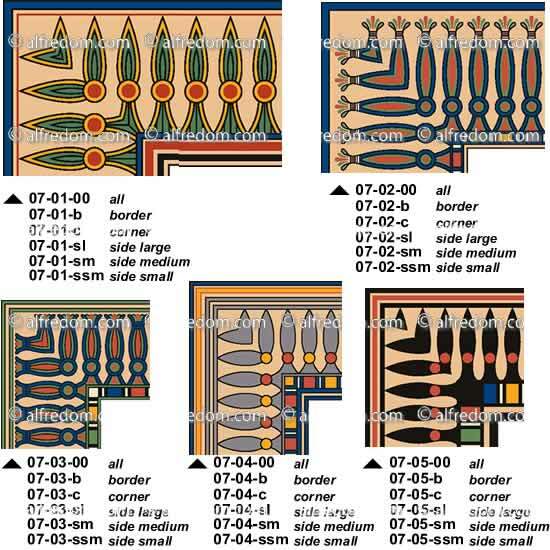 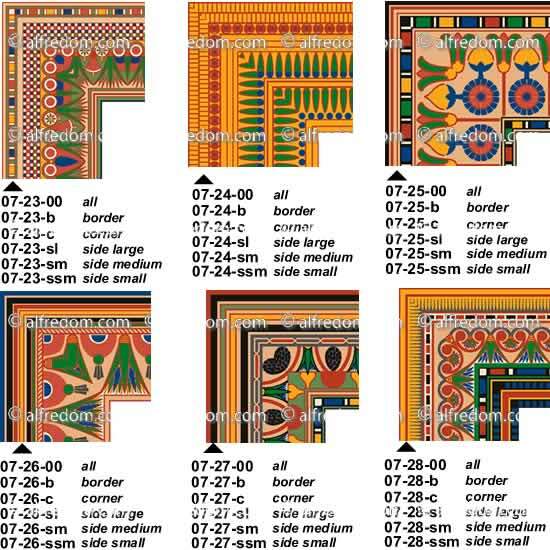 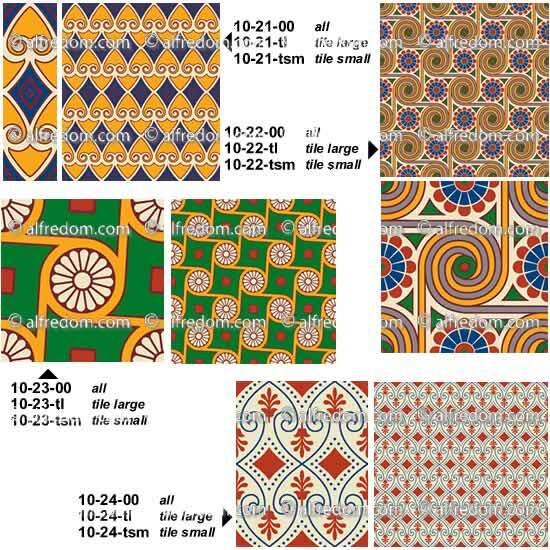 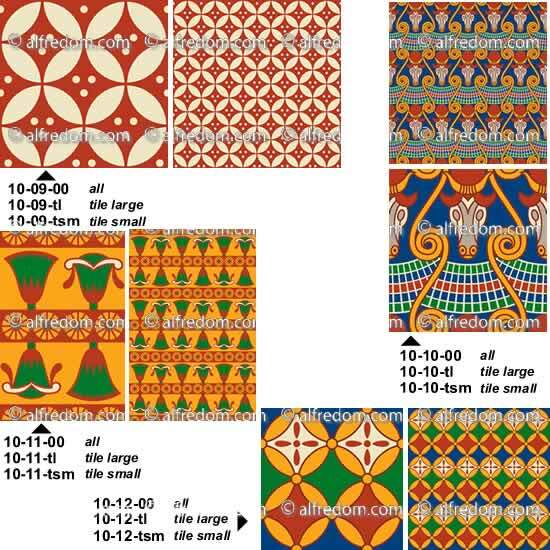 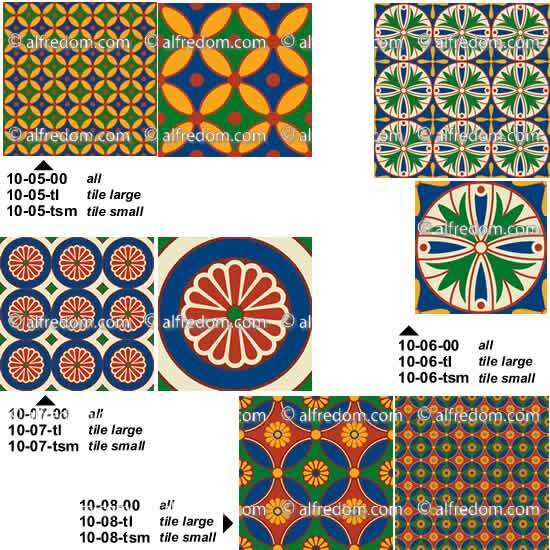 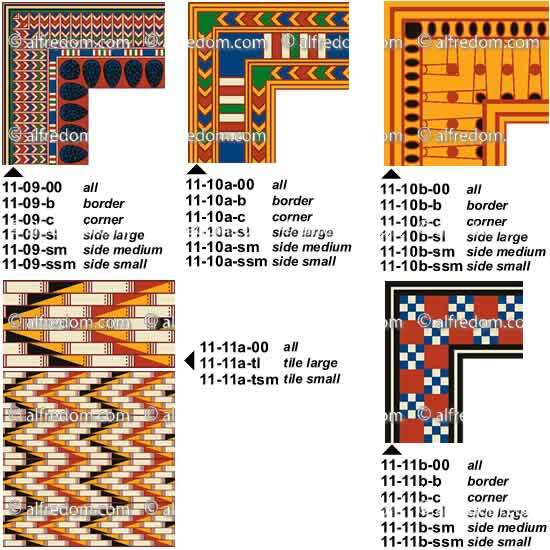 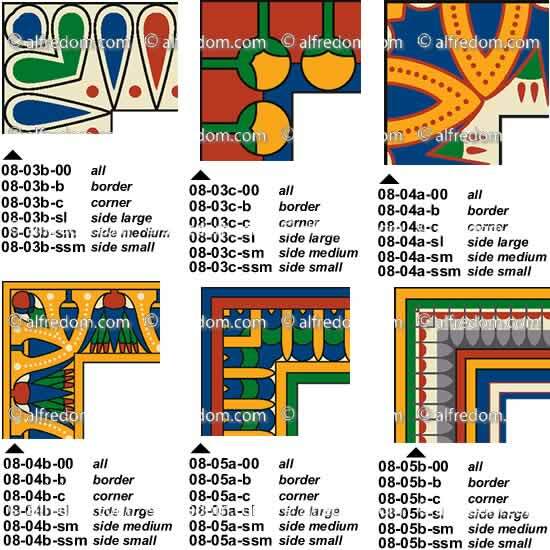 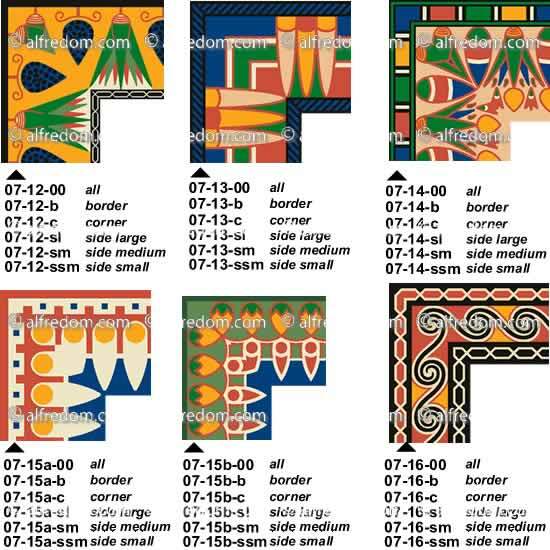 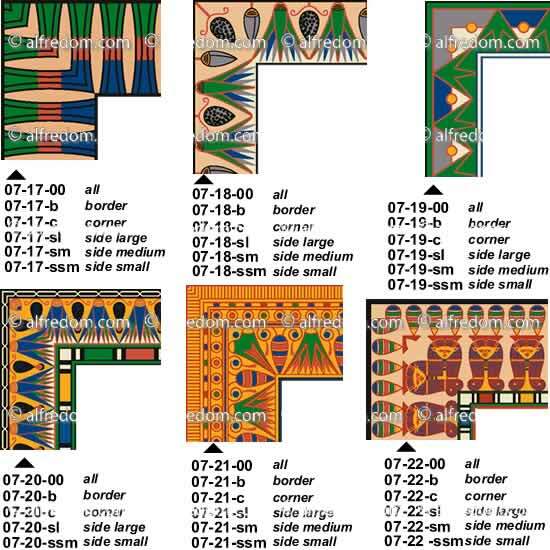 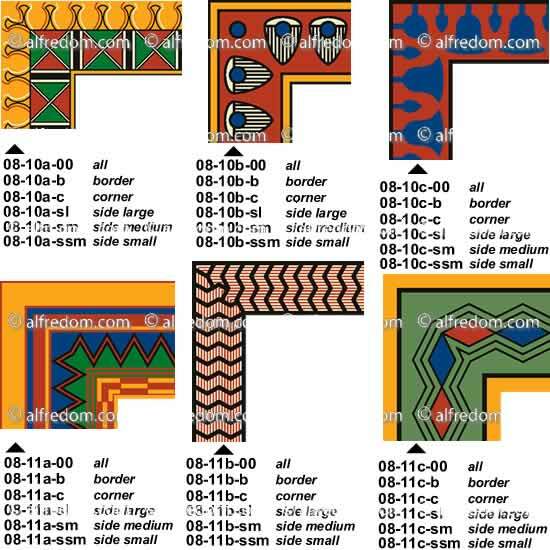 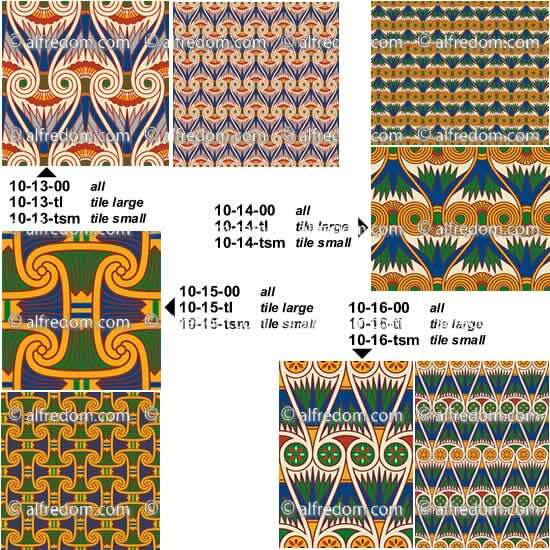 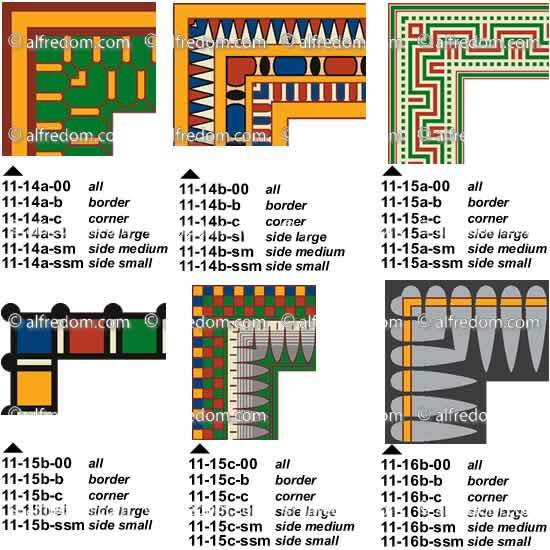 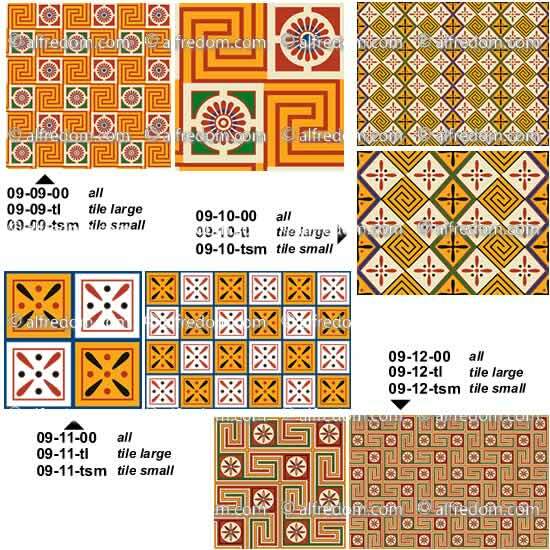 A large collection of Classic Egyptian borders, all over patterns and background tiles. 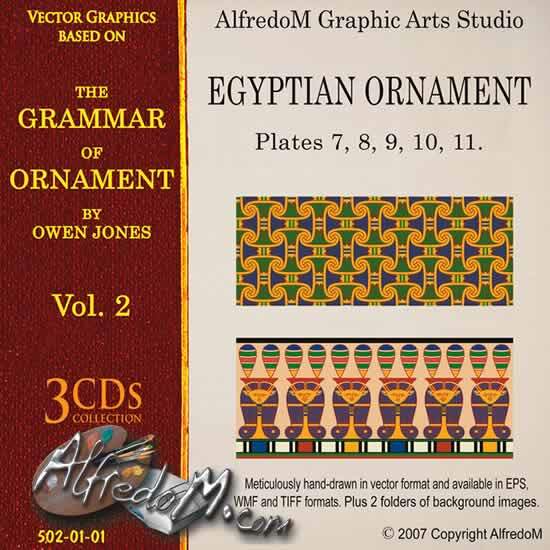 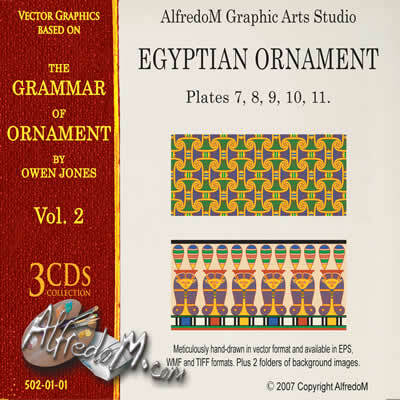 This Volume includes a very large collection of vector graphics based on the Plates 7 to 11 of the Egyptian Ornament from the Grammar of the Ornament. 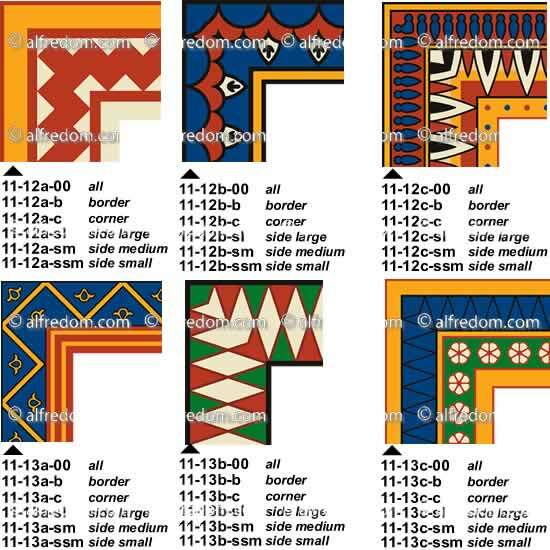 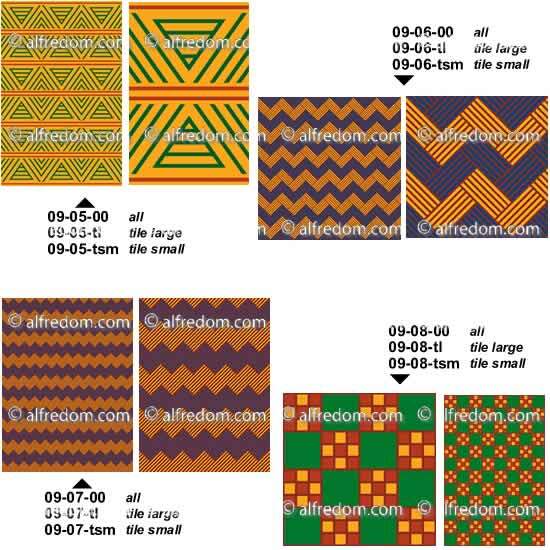 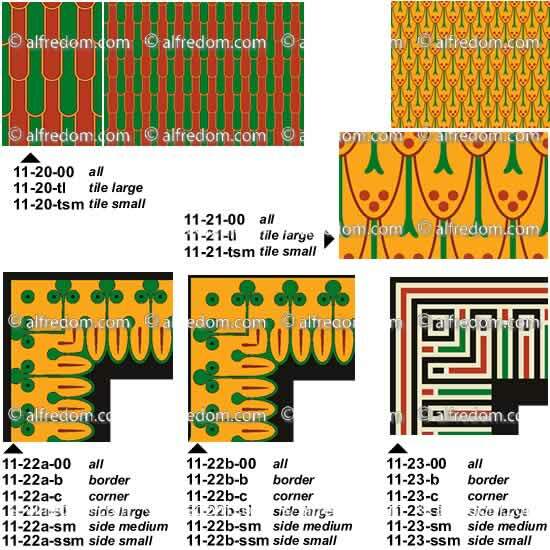 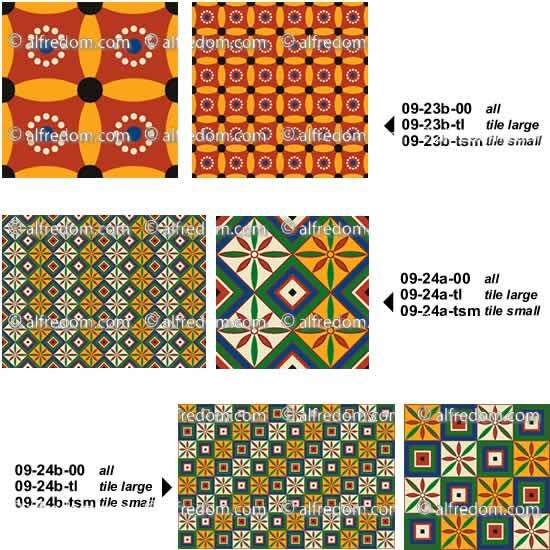 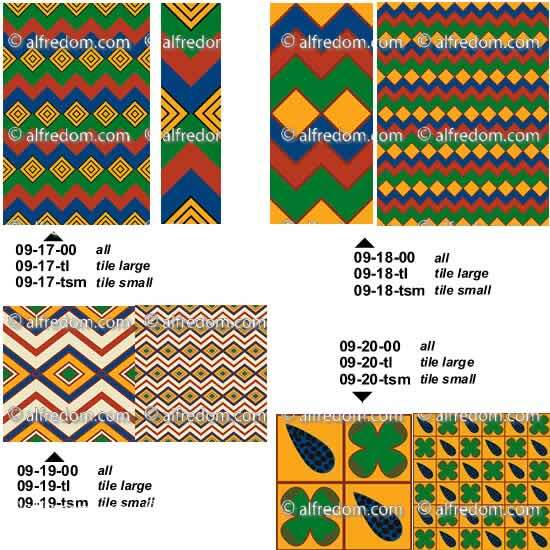 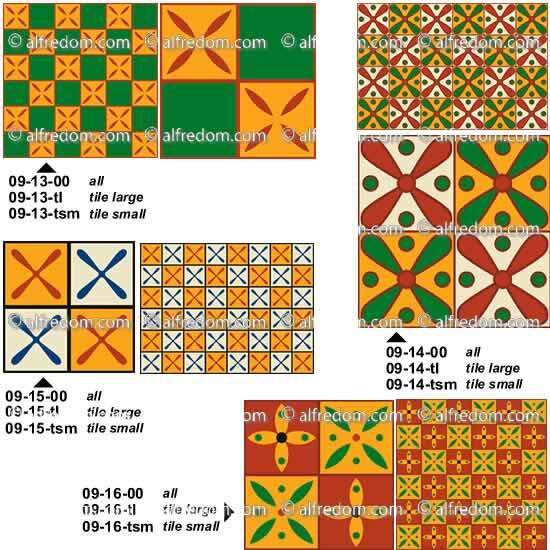 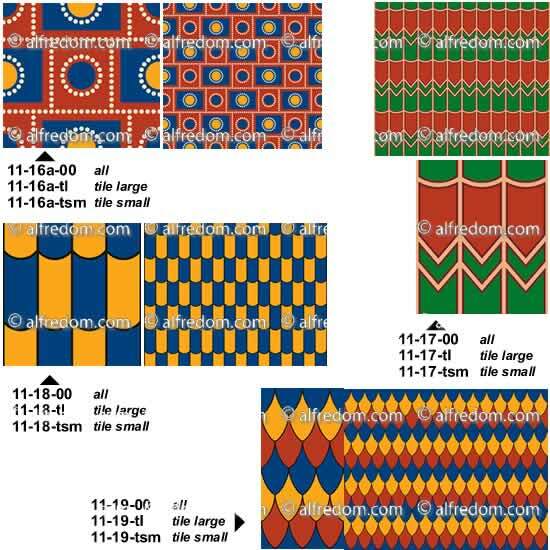 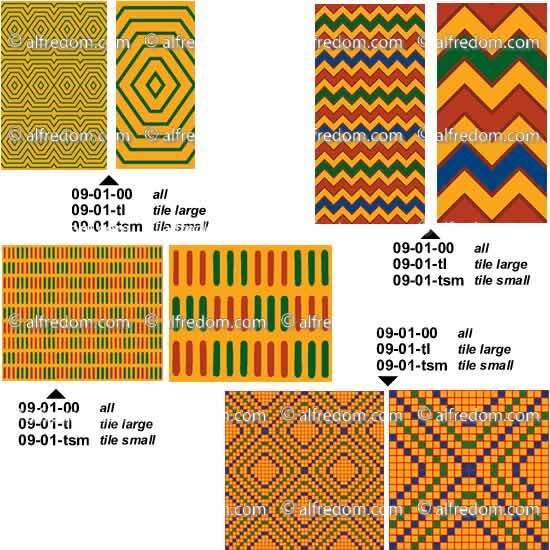 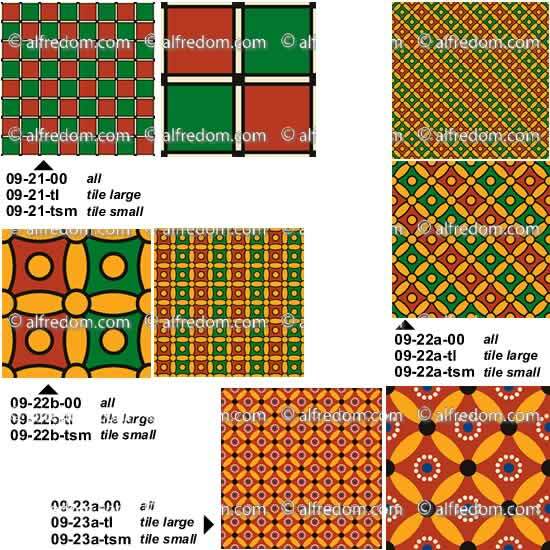 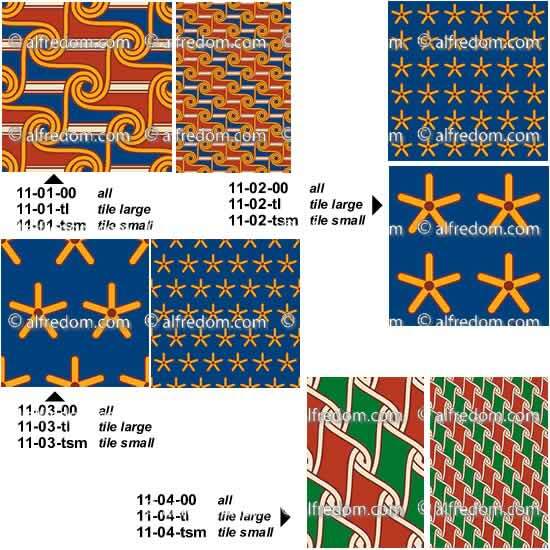 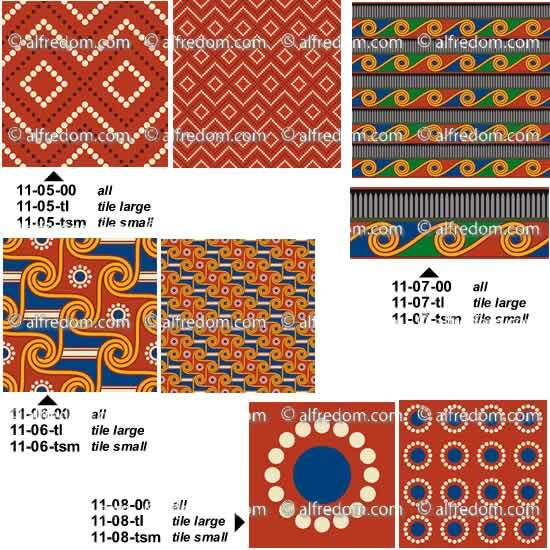 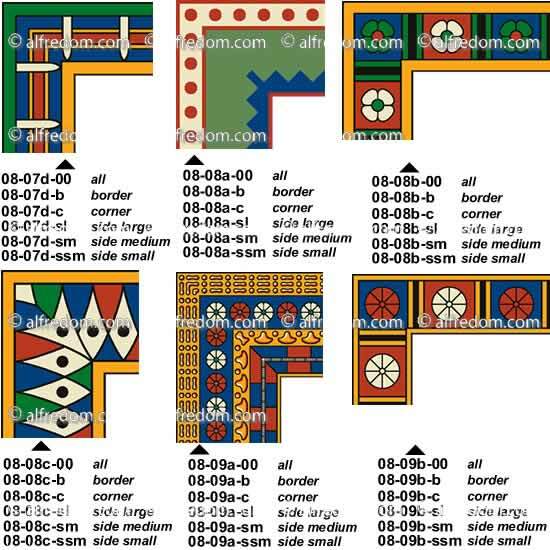 They are been redrawn with the correct geometric construction and are perfectly tileable as allover patterns, linear borders and page borders. 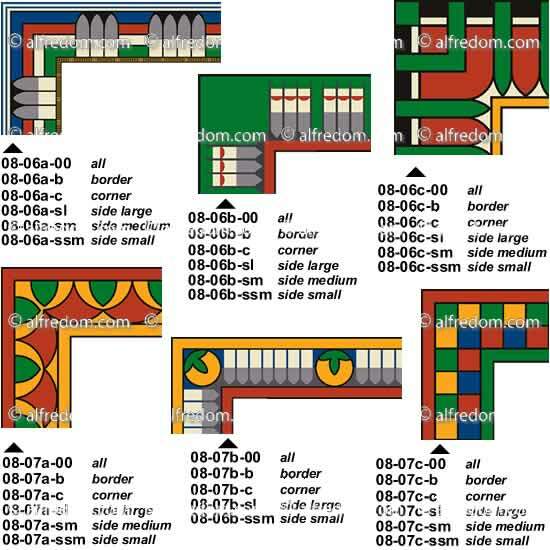 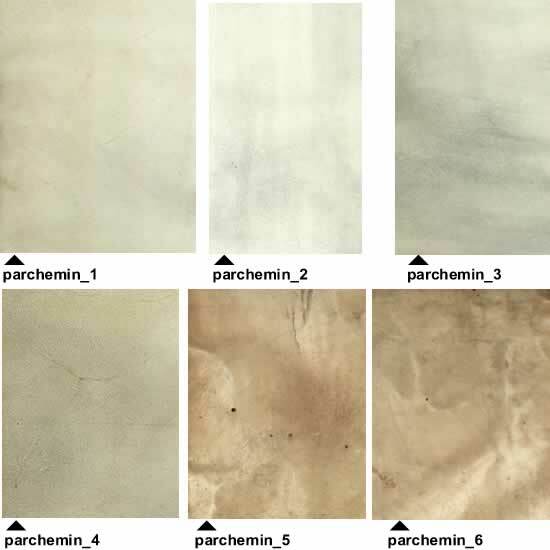 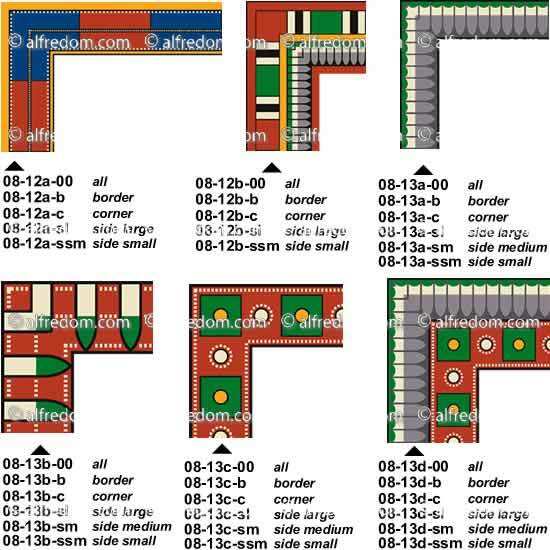 For all the patterns of which the design permitted, we have created the corners tiles. 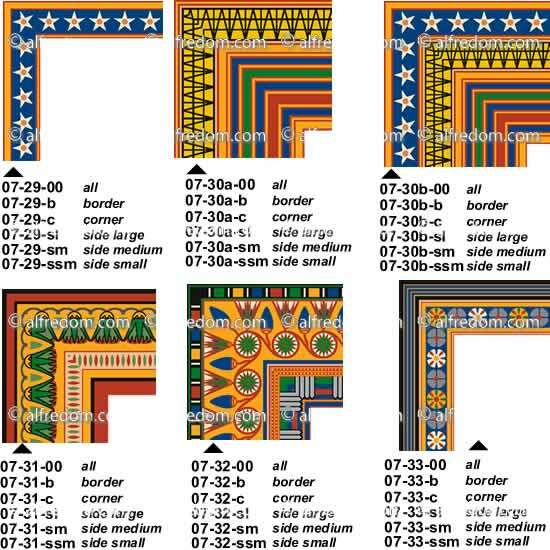 A large collection of Classic Egyptian borders and background tiles. 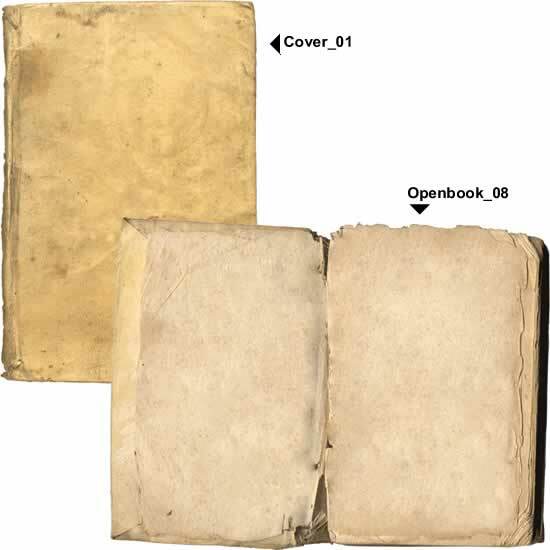 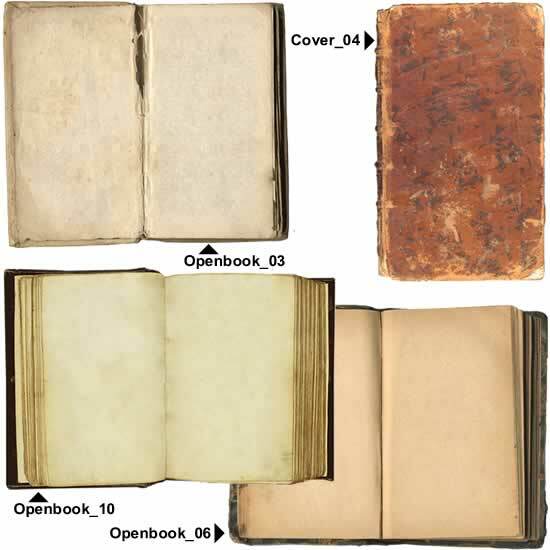 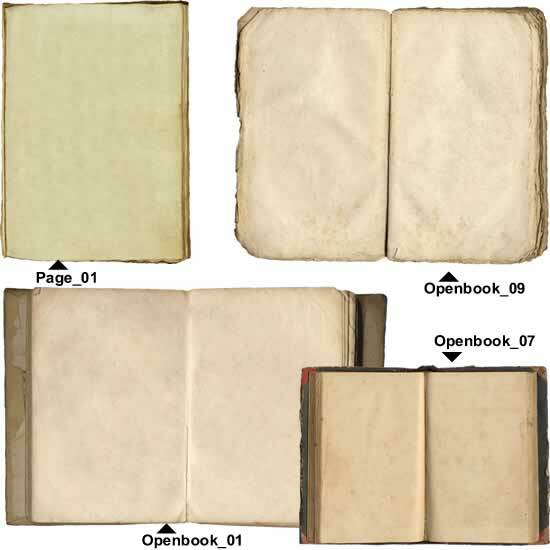 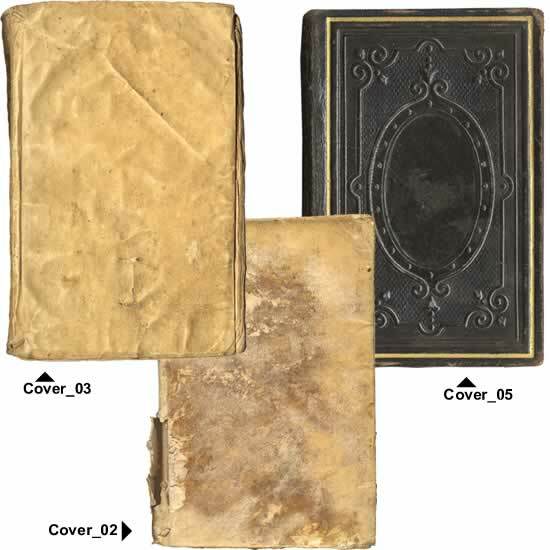 This specific Volume includes 805 graphic files in the EPS format.